We at A.K. Chopra & Co. have skilled team of tax practitioners, economists and financial analysts who are masters in their fields. 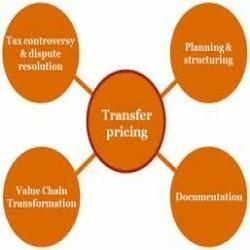 They focus on reducing threats and increasing opportunities to enhance corporate performance through proactive transfer pricing planning. • Indian businesses need to examine their international transactions in the context of TP Regulations and maintain the required documents. • Businesses also need to plan their cross-border transactions in a manner that would be compliant with the TP Regulations.